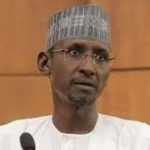 No fewer than 200 midwives will be recruited this year to boost primary health care services by the Federal Capital Territory Administration (FCTA), says the FCT Minister, Alhaji Muhammad Bello. The minister disclosed this when receiving the Director-General of World Health Organisation (WHO), Dr Tedros Ghebreyesus, who visited Kuchigoro Primary Healthcare Centre (PHC), Abuja, on Wednesday. Newsmen recall that President Buhari launched the Kuchigoro PHC as a pilot of the revitilisation project on January 3, 2017. Represented by the Secretary of Education, FCTA, Sen. Isa Maina, the minister said that the plan to engage the midwives had been captured in 2018 budget. He explained that FCTA was working with the six area councils to upgrade all the primary healthcare facilities in the territory. According to him, the plan is to have functional PHCs that will provide quality healthcare services like maternal healthcare, treatment of common ailments, immunisation, and HIV counseling and testing. 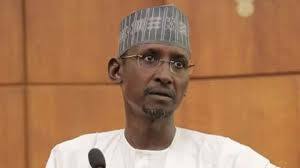 Bello said that the FCTA had constructed and equipped 18 PHCs across the FCT. He said that additional 18 were being reconstructed and renovated to provide healthcare services to the people at the grass roots. “Our communities are being mobilised to own the project for sustainability and maintenance. “We welcome the support and cooperation of WHO in revitalising our PHCs for improved infrastructure,” he said. The Acting Executive Secretary of FCT Primary Health Care Development Board, Dr Mathew Ashikeni, later told newsmen after the event that the board was doing everything possible to ensure maintenance of PHCs in the territory. Ashikeni said that Community Based Committees have been set up to ensure involvement of the people so as to take ownership of the facilities.